Aditi Mulay is currently working as a Automation Test Lead at Karsun Solutions LLC ensuring code quality, increasing test coverage for their web based application. Aditi has worked in diverse domains like education, advertisement and the government sector. 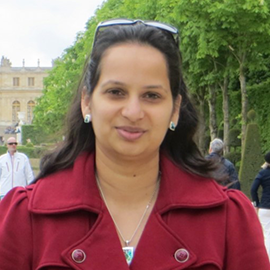 Aditi has managed and lead automation teams and trained and mentored members on automation best practices. She has specialized in building automation frameworks using open source tools that can be utilized by QAs with technical and non technical backgrounds. She has been an advocate for automating in the right manner and ensuring that the tests are reusable and maintainable.